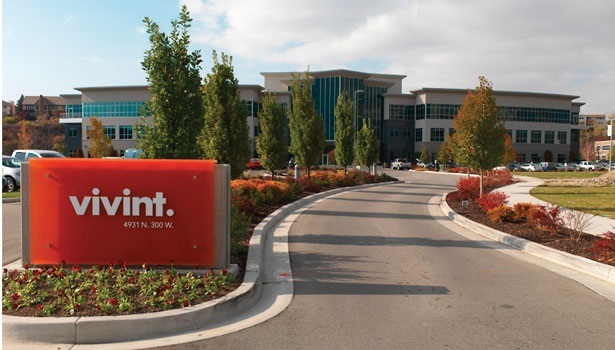 Do you know about Vivint Smart Home in Provo, Utah? Would you like to know more? Provo, Utah is technologically one of the most advanced cities in the country. It is home to tech companies like Novell and is one of the few cities in the country with Google Fiber. It is also a wonderful place to join the smart home revolution. Smart homes are the newest trend in technological advancement, combining a variety of home systems to provide greater security, energy efficiency, and convenience for homeowners. A smart home from Vivint Smart Homes is the culmination of that technological advancement. The devices in these smart homes are the latest technology supported by a white glove service package that ensures all problems get resolved quickly and hassle-free by experienced professionals. With a Vivint smart home, you have the technology to improve your quality of life in a number of different ways. Your heating and cooling will run more efficiently, saving you money on energy bills. And, equally importantly, your home will be monitored 24/7 by a security team that is unparalleled in quality. Have you ever ordered a DVD or delicate electronics online? Odds are you have. And a few days later you got a shipping notice that informed you that the order would be delivered to your home while you were at work. You then either had to take the day off from work or spend the day fretting over whether your delivery would be damaged by spending the day in the hot sun. Provo, Utah may be a beautiful location, but the climate gets very hot through the summer months and there is almost no shade. Electronics and plastics can melt when sitting out in the heat for an entire day. With your Vivint smart home, that is one scenario that will never play out again. When the delivery driver shows up at your home, you will get a notice on your smartphone, even if you are at work. Then you can remotely open the garage door and let the delivery driver drop the package off in a shaded location. You can even confirm the identity of the driver with a door camera. People unfamiliar with smart homes often think outside lights that turn on at dusk or a pet door that unlocks during the day are features that meet the definition. Some smart homes may include those features, but in and of themselves, they don't necessarily mean your home is truly intelligent. A true smart home has dozens of interconnected devices working through a centralized hub in order to provide convenience and security to the residents. A true smart home doesn't just turn the outside lights on at dusk, but also turns interior lights on at night while you are on vacation, locks the doors and closes the windows at 10 p.m., and notifies a monitoring team when someone enters your property at night. A true smart home intelligently uses multiple devices towards a single goal, like providing security. Vivint goes above and beyond that level of automation by offering Provo homeowners the ability to monitor and control these features and goals through the Vivint Sky platform. This means that you can even change the behavior of your home while hundreds of miles away or even while in another country. If you've avoided upgrading your Provo home to a Vivint Smart Home because you think it would be too much hassle, then set your fears aside. Vivint offers free professional installation from Smart Home Pros. Best of all, Vivint furnishes all of the required equipment. Upgrading is literally just a phone call away. Once you have made that phone call, your life will become indescribably more convenient. All of your household smart systems, whether Vivint products or third-party devices, will be connected to your Vivint Sky platform and working in harmony to provide better efficiency and security. As time passes, you will receive support, upgrades, and maintenance at no additional cost beyond the monthly service fee you pay for the Vivint Smart Home service—a fee which costs roughly the same as your monthly smartphone bill. Simply put, you will have a technologically advanced home, supported by an industry leading company, for a fair and reasonable price. If you were considering upgrading to a smart home, Vivint is the company that makes upgrading easy.